My little one is sick this weekend so I know I had to make some comfort food to make him feel well. I always make chicken soup every time my boys are feeling under the weather or when it is too cold out but not this time. I figured that I should make something different and something easy. I had the basic ingredients which I am glad so I went for Wonton Soup. 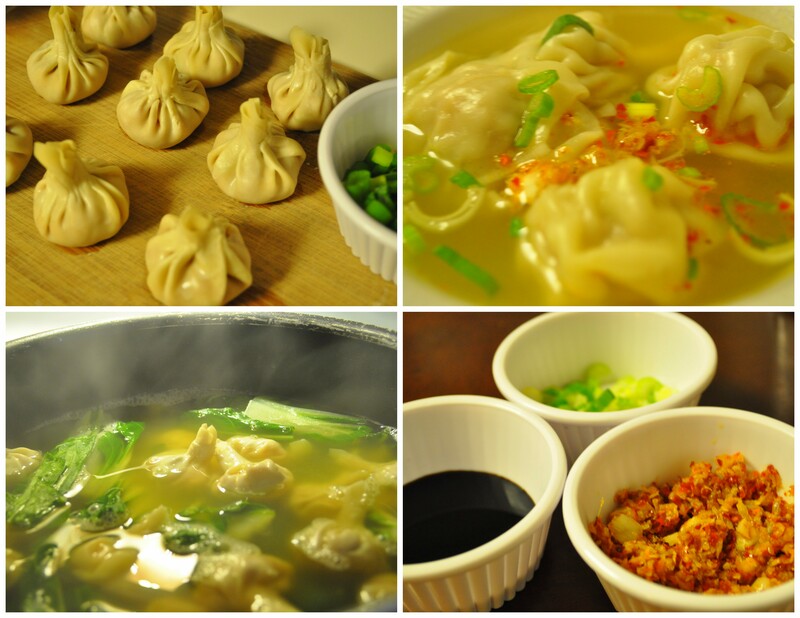 Here’s an easy wonton soup recipe to make. P.S. My husband said once you get a taste of this, you will probably make your wonton soup from now on, it is tastier than your local Chinese Restaurant makes. That’s what he said! 🙂 Enjoy and let me know what you think if you ever try this recipe. Add all meat filling and let set for 30 minutes. Set out ten wrappers on a counter surface. Place 3/4 teaspoon of the filling in the center of each wonton wrapper. Moisten both index fingers with water. With a corner pointing up, moisten two adjoining edges of the corner with water. Repeat with all ten wontons. Bring the opposite corner up and fold together over the filling to make a triangle. Run your fingers along edge to seal tightly. At the bottom, fold the remaining side corners together; moisten and seal tightly. In a large saucepan, bring the chicken broth to a boil over medium/high heat. Put in the chopped bokchoy. Drop in the wontons next, stirring gently. Place lid on saucepan and reduce the heat to medium. When the broth returns to a boil and the wontons start to float, remove pan from the heat. With a strainer, transfer the wontons from the pan to 6 individual soup bowls. Repeat until all wontons are cooked through. Pour hot broth over wontons. Add a bit of scallion to each bowl and serve.